Young adults watch and listen as Cardinal Dolan celebrates the Young Adult Mass at St. Patrick’s Cathedral April 3. A banner welcomes everyone at the main entrance of St. Patrick’s. A young man kneels in prayer before Mass during a Holy Hour including confession, music and Eucharistic Adoration. 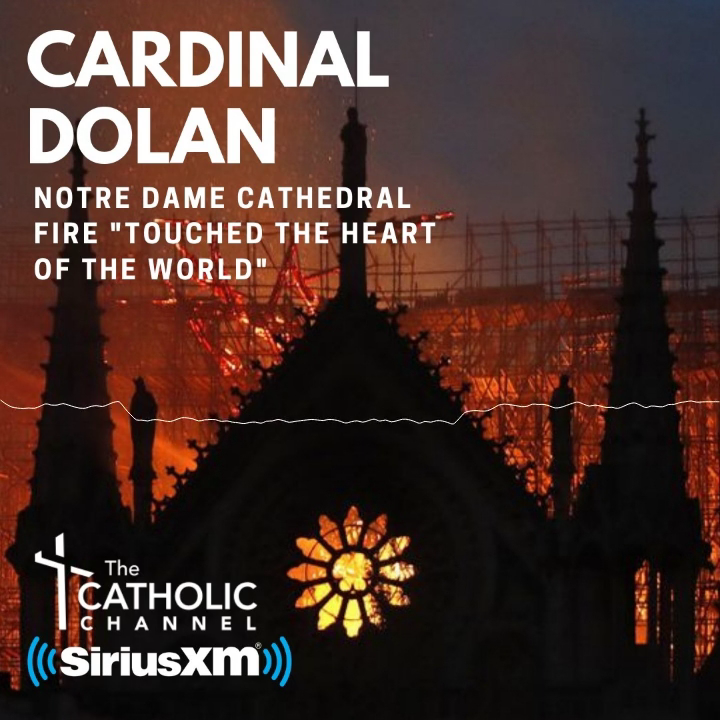 Cardinal Dolan had many pondering their memories and dreams after his citation of 19th-century history at the Young Adult Mass in St. Patrick’s Cathedral April 3. The cardinal shared a story about Pope Pius VII in his reflection on the first reading from Isaiah and the Gospel of John. Pope Pius VII was taken captive by Napoleon Bonaparte and imprisoned in France. After his release, Pope Pius VII was asked how he survived those years as a prisoner, and he responded by saying he never lost two treasured possessions, his memory and his dreams. The memory of what God had done for him and the dreams awaiting him, including the ultimate dream of everlasting life in heaven. “Memory is very important for us as we gratefully and reverently remember all the good things God does for us,” said Cardinal Dolan in his homily at the Mass sponsored by the archdiocesan Office of Young Adult Outreach. In the first reading, Isaiah dreams of what God has in store, and in the Gospel, Jesus speaks of the ultimate dream of being united in heaven with His Father. “That dream excites us, motivates us, encourages us and gives us hope,” the cardinal said. Cardinal Dolan closed his homily with a story of a visit to Calvary Hospital in the Bronx, where he visited with an 87-year-old man who shared many memories from his life and was grateful to God for fulfilling many of his dreams. “He says, ‘I’m smiling. I’m happy because I know my ultimate dream will be fulfilled and then through God’s mercy, I will be brought to Him,” Cardinal Dolan said. Christa Dalmazio, 25, attended the Mass with her 18-year-old sister, Trinity, who was participating in her first young adult event in the archdiocese. Both parishioners of Holy Innocents in Neptune, N.J., enjoyed Cardinal Dolan’s theme of memory and dreams. “Thinking about the promises of Christ in the Bible and looking forward to being in heaven with Him in the future, those things can help guide the decisions you make day-to-day in life,” said Christa, who attended the Manhattan School of Music. Before Mass, there was an hour with confessions, music and Eucharistic Adoration. Following Mass, the young adults were welcomed to a social at Haswell Green’s. The Young Adult Mass came a day after the release of Pope Francis’ apostolic exhortation, Christus Vivit, which said the Church needs young people and the enthusiasm they bring. The papal exhortation followed last October’s Synod on Young People at the Vatican. “If we don’t invest in the youth of the Church, the Church will die,” said Kiernan Doyle, a 24-year-old parishioner of St. Virgilius in Broad Channel, Queens. In the archdiocese, the Office of Young Adult Outreach has three regional coordinators, and 88 young adult groups were listed in a Mass program. A website, www.catholicnyc.com, and an events email, help to keep young adults up to date. “Every year, we’re trying to come up with new ideas and new plans to better serve the young adults,” said Colin Nykaza, director of the Office of Young Adult Outreach.